Get Updated Emails of Marketing Executives Who Recently Changed Jobs to Instantly Engage Them as Your Prospective Clients. CLOsOnTheMove has helped us to create real client engagements..
CLOsOnTheMove has become a valuable piece of our lead generation portfolio. Email Updates Every week you will receive a short update highlighting new appointments and promotions among senior Legal execs. Yes, you can change your subscription at any time. No! You can cancel any time you want without any fees or penalties. Just drop us a line at support@closonthemove.com and we will get on it right away. We track in real-time over 50,000 news sources – press releases, company announcements, SEC filings, social media, etc. This fire hose of data is then analyzed, de-duped, updated with contact details and industry taxonomy so that it is immediately actionable for you. Yes, you can stop the subscription at any time. Just drop us a line here. Are there any penalties or fees for cancellation? Absolutely not. There are no fees or penalties for cancellation. Does your database include emails and phone numbers? What if I need to talk to a human being? We are based in New York City and our research team is in Hyderabad, India. The two main deliverables are 1) regular email updates when CLOs, VPs of Sales and Marketing change jobs, including their updated emails and 2) full unlimited access to 14,000+ profiles of senior marketing executives for searching/browsing/downloading. Would I get my money back if I don't like the service? Yes. If you don't like the service for any reason and let us know within 30 days of your sign up, we will refund 100% of your subscription fee, no questions asked. At this point we don't allow concurrent logins, however we offer substantial discounts for corporate packages from 5 licenses and up. Currently, we offer a full refund of your subscription fee for 30 days from the moment you sign up, so essentially it is a free trial. Why should I chose you, and not ____ (insert company name)? Many companies will offer you oceans of data however you will soon find for yourself that they cannot accurately track in real-time 20-40 million people. Why buy a Swiss Army knife when you really just need a toothpick? If you want to have access to top marketing leaders at the moment they are most likely to be researching buying decisions – after they changed jobs – and you don't want to spend a fortune on these insights, try us. Does your feed integrate with Salesforce, Oracle, Dynamics, SugarCRM, etc. ? With a few clicks you can select your target list by company size, geography, title, industry and data of the management change > export into a csv file and > upload to your CRM of choice. What's so important about management changes? Management change is one of the sales triggers – events that change the status quo for your potential clients and made them aware of needs that your product or service can fill. It could be one of the strongest catalysts for your sales opportunities and revenue. We do not store any credit card information. It was passed seamlessly to our payment gateway provider – PayPal. 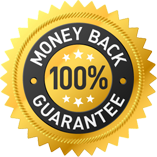 If you are not fully satisfied by our service and let us know within 30 days of signing up we will fully refund your subscription fee, no questions asked! absolutely risk-free – you have nothing to lose.